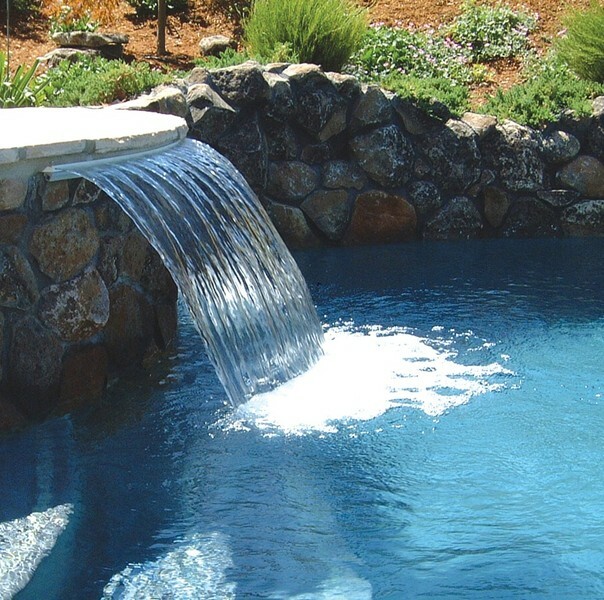 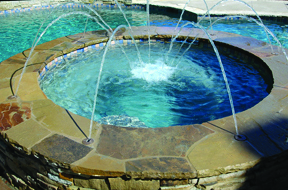 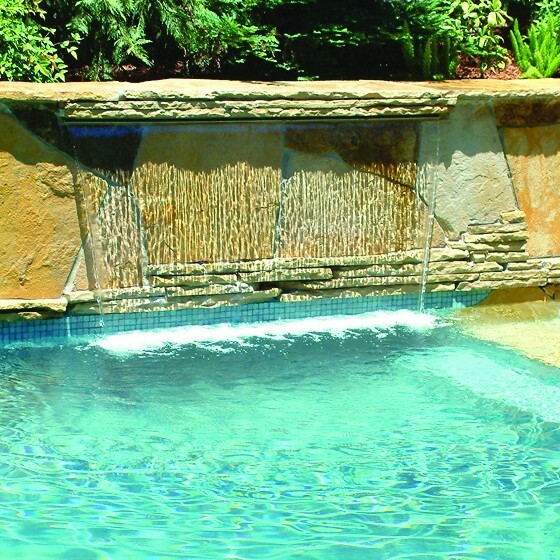 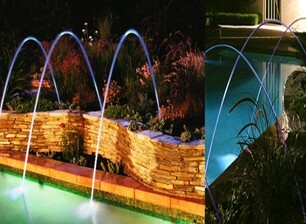 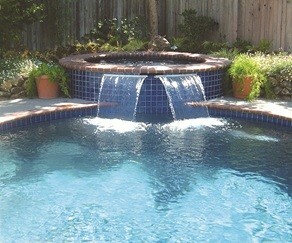 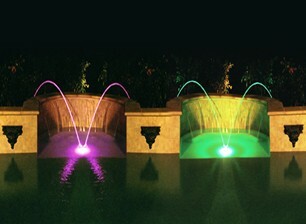 Spring's Pools and Spas is a Zodiac water feature installer. 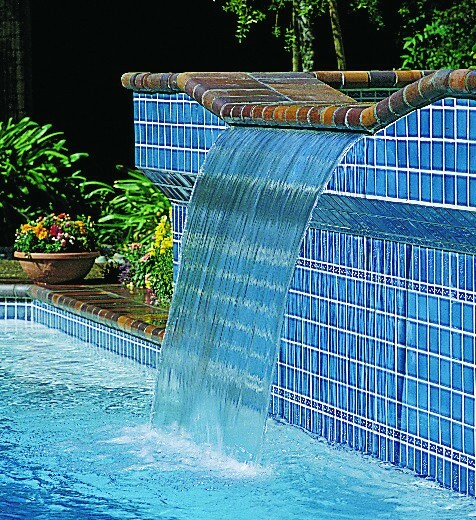 Zodiac water features increase the enjoyment of every pool by providing the soothing sound and shimmering sight of falling water. 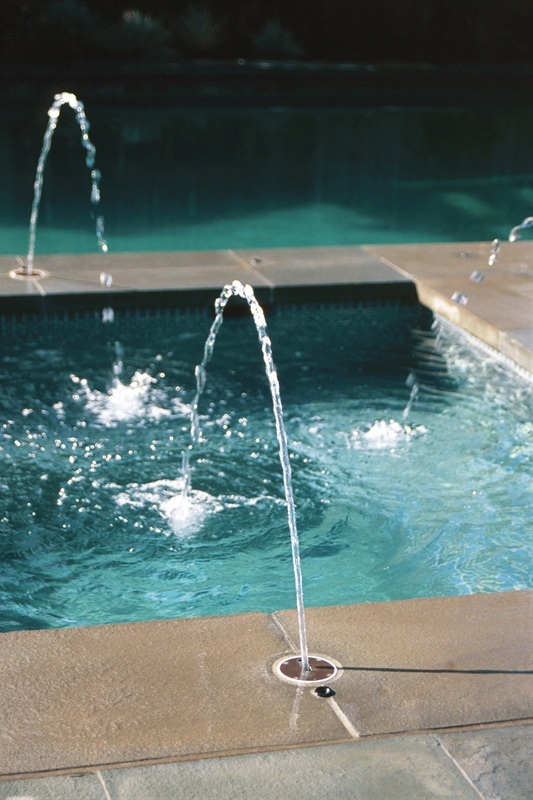 The MiniJet is designed to project a stream of water at a 45° angle of trajectory for a distance of up to 13 feet from the deck or under the coping. 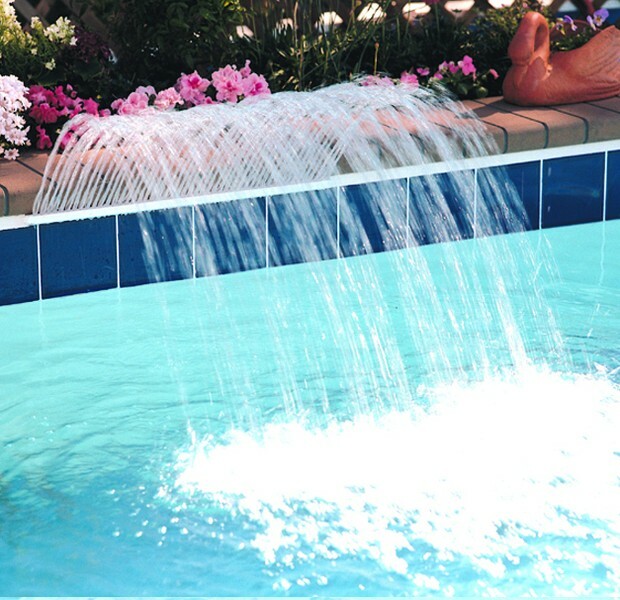 Sheer Curtain waterfalls produce a clear curtain of water that descends straight down from the unit.